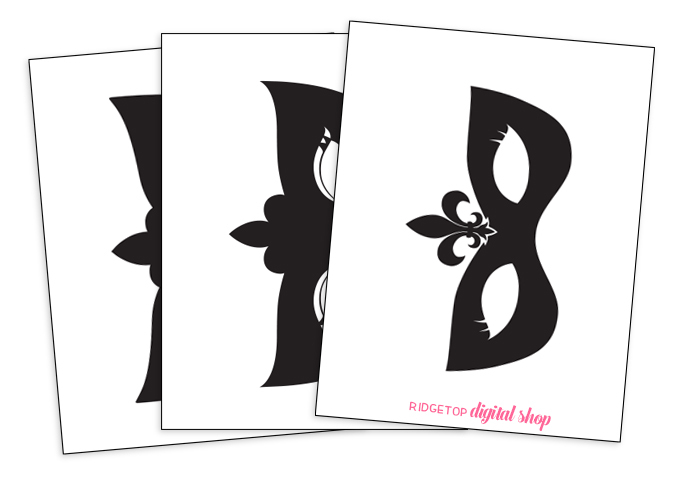 Hosting or attending a Mardi Gras or Masquerade party? 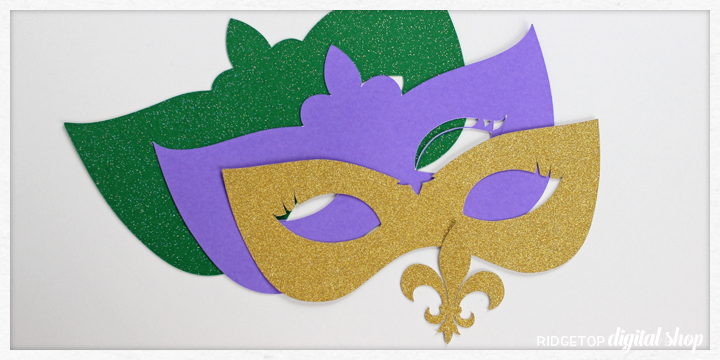 Using your cutting machine, this mask can match any color scheme. + Open files in your cutting program. Cut files one at a time. 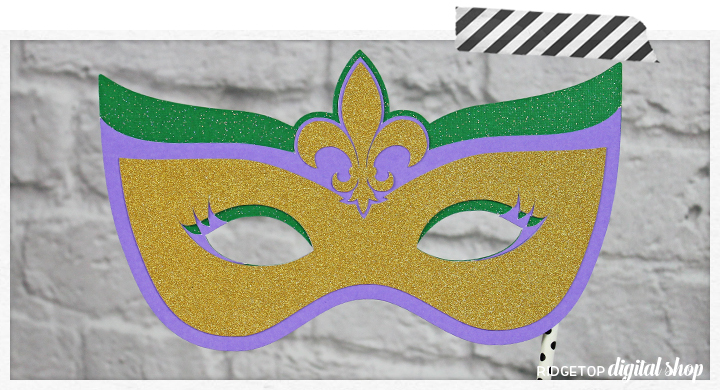 *note: Glittered gold cardstock is used in the example for layer 3. Layer 2 is cut from purple cardstock. And, the first layer is cut on green glitter cardstock. + Glue layer 2 to layer 1, lining up bottom edge and eye holes. + Glue the mask piece of layer 3 to the now combined layers 1 and 2, lining up the eye holes. 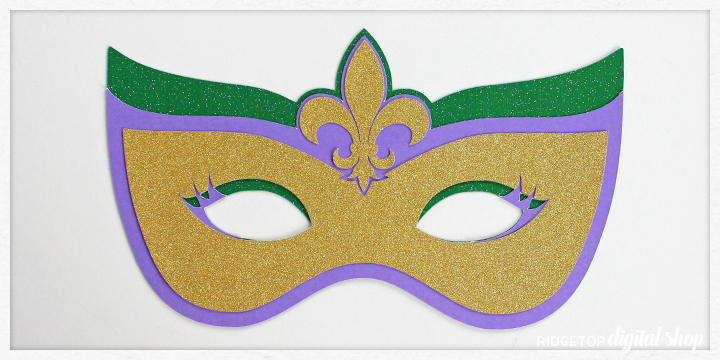 + Glue on fleur de lis. + Attach prop handle to back of mask. For ideas on handles check out this post.